A European Council meeting is to be held on 10 April following the rejection of the Brexit Withdrawal Agreement by the House of Commons. 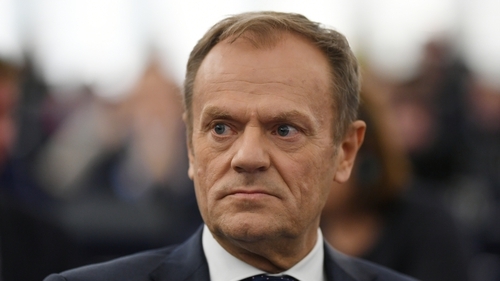 President of the Council Donald Tusk tweeted right after the vote saying he has called a summit to discuss the latest rejection of the agreement by British MPs. The European Union has set 12 April as the deadline for the British Parliament to approve Theresa May's plan. MPs debated Mrs May's Brexit Withdrawal Agreement, but not on the political declaration, on the day Britain was originally scheduled to leave the European Union. They then voted 344 against and 286 in favour of the Withdrawal Agreement, which was negotiated over two tortuous years. Mrs May split the legally binding treaty segment of her Brexit deal from the declaration on future relations with the EU in order to ensure MPs could vote on it today. The result of the vote means that the UK has missed an EU deadline to secure an extension of the Brexit process and leave with a deal on 22 May. The European Commission said that a "no-deal" exit on 12 April was now "a likely scenario". Mrs May is expected to draw up an alternative plan for an orderly Brexit before then, and will be asked to present it to her 27 EU colleagues at the emergency summit. "We expect the UK to indicate a way forward before then, well in time for the European Council to consider," a council source said, adding that Mrs May would be invited to "the beginning of the meeting." Separately, a spokeswoman for the European Commission - the bloc's executive - increased pressure on London to come up with a plan for an orderly Brexit by warning of an abrupt divorce. "A 'no-deal' scenario on 12 April is now a likely scenario. The EU has been preparing for this since December 2017 and is now fully prepared for a no-deal scenario at midnight on April 12," she said. "The EU will remain united. The benefits of the Withdrawal Agreement, including a transition period, will in no circumstances be replicated in a no-deal scenario. Sectoral mini-deals are not an option." European Commission Secretary General Martin Selmayr - right-hand man to President Jean-Claude Juncker - tweeted that 12 April is now the new 29 March. The French presidency said that the vote "increased very strongly the chances of a no deal exit". "The United Kingdom needs to urgently present an alternative plan in the next few days. Failing this, and it is becoming the most likely (outcome), we will see the United Kingdom leaving the European Union without a deal," a statement issued by the presidential palace said. Danish Prime Minister Lars Lokke Rasmussen was the first foreign leader to react to the vote criticising British politicians for not voting to back an orderly Brexit. He tweeted: "House of Commons did not seize their third chance to secure an orderly #Brexit. Very discouraging. "UK must now show a way to avoid a #NoDeal. Almost out of options and time. We will intensify our no deal preparations."